Napping with Cats #Infographic ~ Visualistan '+g+"
Many of us lovers adore having our furry friends in the bed with us. But it often costs us sleep. 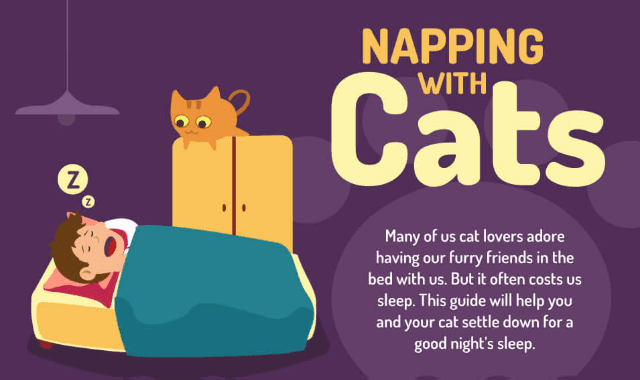 This guide will help you and your cat settle down for a good night's sleep.